MIDDLETOWN, OHIO-----The Community Foundations of Butler County and Butler County Development Roundtable will host the fourth biennial Butler County National Philanthropy Day this month. The luncheon will be held from noon until 1:30 p.m. Friday, Nov. 18 at the Pendleton Art Center in Middletown. Gold Sponsors are AK Steel; Silver Sponsors, American Savings Bank, Atrium Medical Center/Premier Health Partners, and Mercy Health – Fairfield Hospital and Fifth Third Bank. Butler County nonprofit agencies have been invited to honor donors and volunteers whose gifts of time, expertise and resources contribute significantly to their organizations and our communities. This luncheon will provide an opportunity for them to publicly recognize those individuals who helped them achieve their financial goals that provide the services so vital to the Butler County communities. National Philanthropy Day (NPD) is a special day set aside across the country to recognize and pay tribute to the great contributions that philanthropy -- and those people active in the philanthropic community -- have made to our lives, communities and work. This year marks the 26th anniversary of NPD. 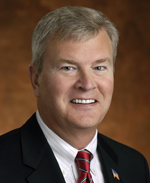 Jim Wainscott, the Chairman, President and CEO of AK Steel Corporation, is this year’s keynote speaker. He has served in the steel industry for nearly 30 years. Under Mr. Wainscott’s leadership, AK Steel has achieved a dramatic turnaround and, once again become a globally-competitive steelmaker. In addition to his responsibilities at AK Steel, Mr. Wainscott is a member of the Board of Directors of Parker-Hannifin Corporation. He is the past Chairman of the American Iron and Steel Institute, as well as a current member of the Washington, DC-based Business Roundtable. He also serves in volunteer leadership positions with a number of educational and charitable organizations. Mr. Wainscott has been recognized as one of America’s Best CEO’s by Institutional Investor magazine. And, in recognition of his lifelong contributions to the North American steel industry, he received the American Iron and Steel Institute’s highest honor – the Gary Memorial Medal. 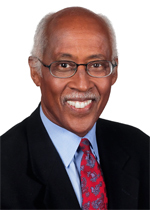 John Lomax, emcee for the event, is a native of Knoxville, Tennessee and is co-anchor of Good Morning Cincinnati on WKRC-TV, Local 12. He earned his bachelor’s degree in psychology from the University of Tennessee. He was two years into his graduate course work in communications when he was hired full-time by WTVK-TV in Knoxville and became hooked on television journalism. In June 1983 he was hired by Local 12 as the Northern Kentucky Bureau Reporter. Since then John has been heavily involved in community activities. He has served on several boards and volunteers his time to many organizations. John is no stranger to the Butler County area having served as emcee at the Middletown Community Foundation’s Crystal Apple Awards, Butler Country MRDD and was emcee at the Atrium Medical Center’s Hospital Gala in 2007. This is John’s fourth year as emcee for the BCDR National Philanthropy Day event. BCDR is a collaborative of area fund-raising professionals who promote benevolent giving to nonprofit agencies. This group is in its 11 year of offering quarterly networking and educational opportunities to Butler County and surrounding area professionals. The organizers have also created a giving circle at the Hamilton Community Foundation to honor area Butler County philanthropists. For additional information about this event, please contact Duane Gordon, Chair of the NPD committee at (513) 424-7369. Limited seating is available.